Scott Kelly, NASA’s One-Year crew member, flawlessly released the SpaceX Dragon spacecraft from the grips of the Canadarm2 at 7:04 a.m. EDT this morning. Mission Control in Houston had earlier commanded the station’s 57.7 foot long robotic arm to remove Dragon from the Harmony module and place it in its release position. After its release, SpaceX controllers in California took control of the cargo craft guiding it beyond the vicinity of the International Space Station with a trio of departure burns. The commercial space freighter is planned to parachute to a Pacific Ocean splashdown at 12:42 p.m. Engineers will be off the coast of Long Beach, Calif., to retrieve the spacecraft, which is filled with more than 3,100 pounds of science and other cargo. Back inside the space station it’s business as usual as the six-member Expedition 43 crew worked ongoing microgravity science and maintenance of the world’s most advanced orbital laboratory. 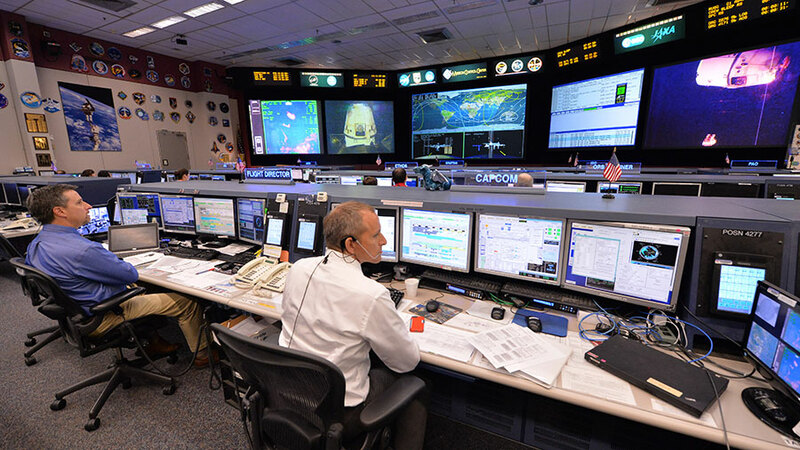 Commander Terry Virts, who is due to return home in early June, took a refresher course in Crew Medical Officer training and also participated in a hearing assessment. Italian astronaut Samantha Cristoforetti conducted fluid physics work that could benefit commercial products on Earth. The cosmonaut trio, including One-Year crew member Mikhail Kornienko, were in the station’s Russian segment working on their to-do list of advanced science and technical tasks. SpaceX is now gearing up for its seventh Commercial Resupply Services mission, scheduled for launch June 26. A Falcon 9 rocket will carry the Dragon spacecraft to orbit, allowing the vehicle to deliver the first of two International Docking Adapters to the space station. This mission, SpaceX CRS-7, will begin the process of readying the orbital lab for future Commercial Crew spacecraft.